It was not all that long ago that a dive watch from the Netherlands seemed like a rarity. 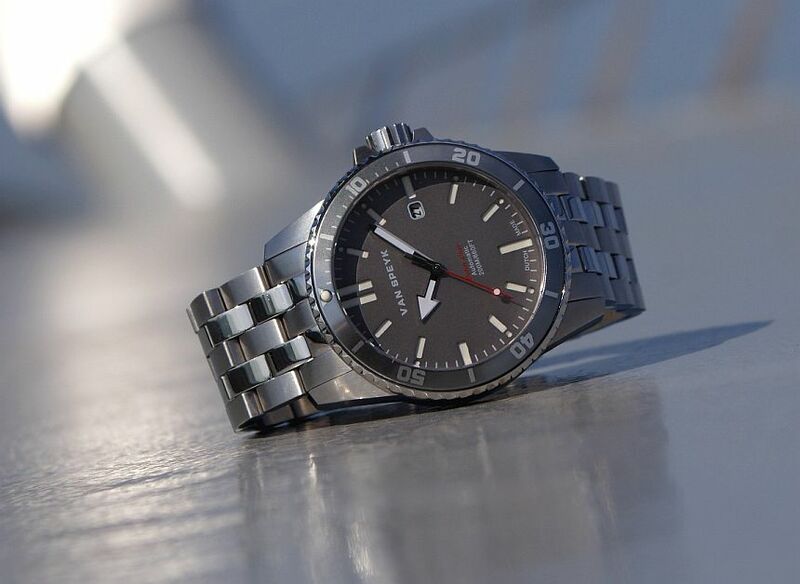 As it turns out, there is a new brand starting up that also wants to offer you a Dutch dive watch. 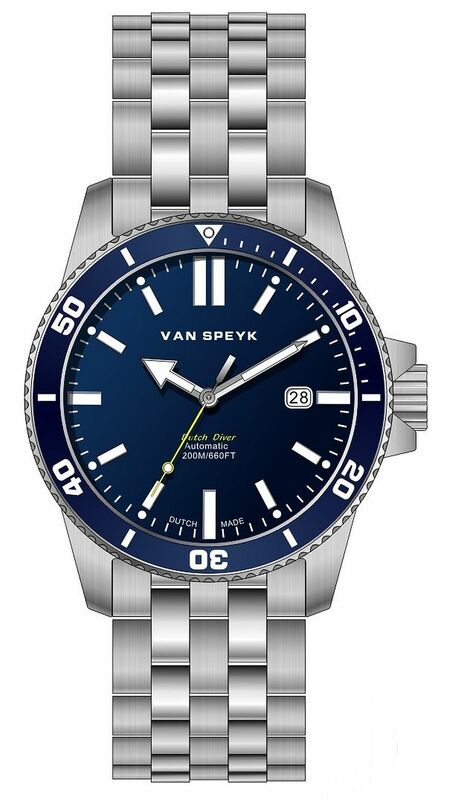 While the previous one we wrote about was firmly in the realm of luxury watches, the Van Speyk Dutch Diver is definitely of the more affordable variety. 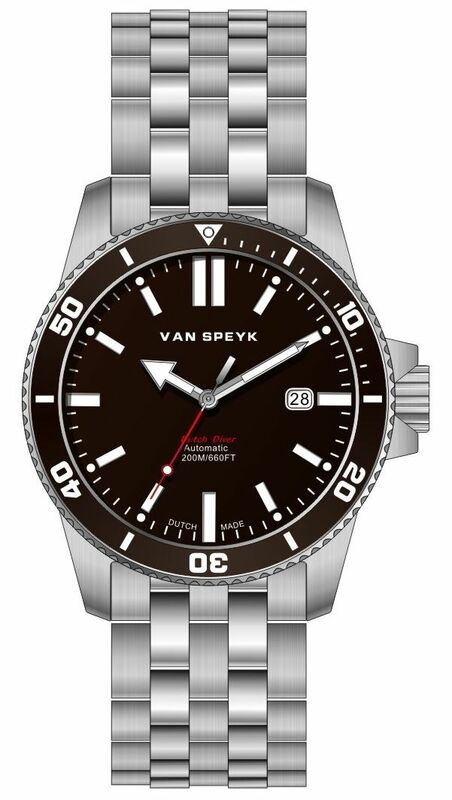 Details about the Van Speyk Dutch Diver are a bit sparse at this time, but we have worked through to try and find as much information as we could. 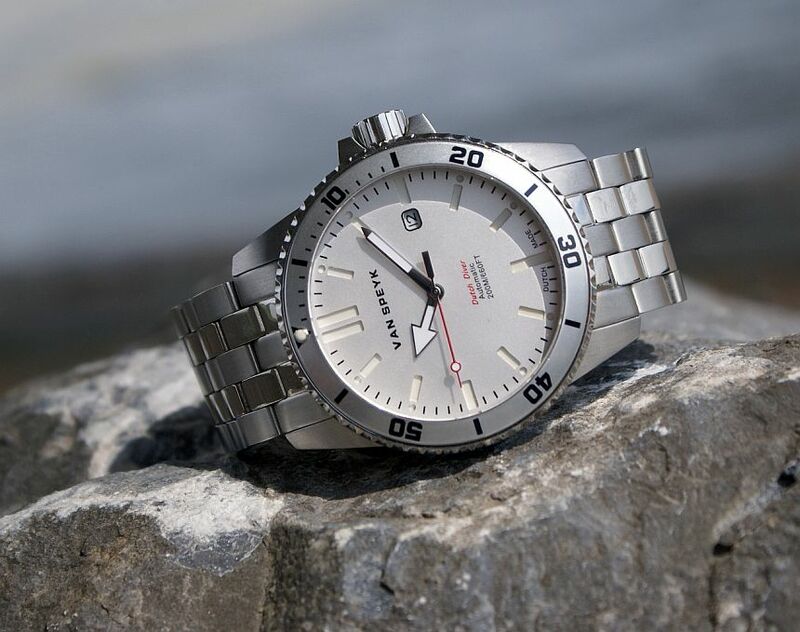 First, when it comes to affordable dive watches, we do have some expected features – a 42mm case made of stainless steel and a Miyota 8215 automatic movement. We also find that the watch has a sapphire crystal, unidirectional bezel, and a WR rating of 200m, assisted by a screw-down crown. Then we start to get into the stuff that differentiates the watch. 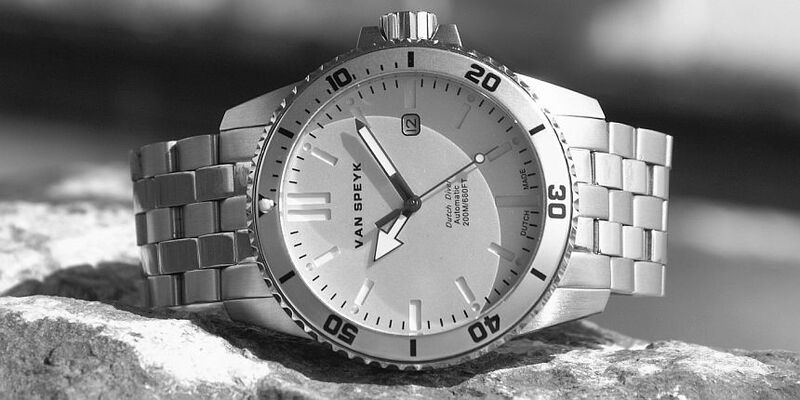 For starters, the Van Speyk Dutch Diver has a sandwich dial. 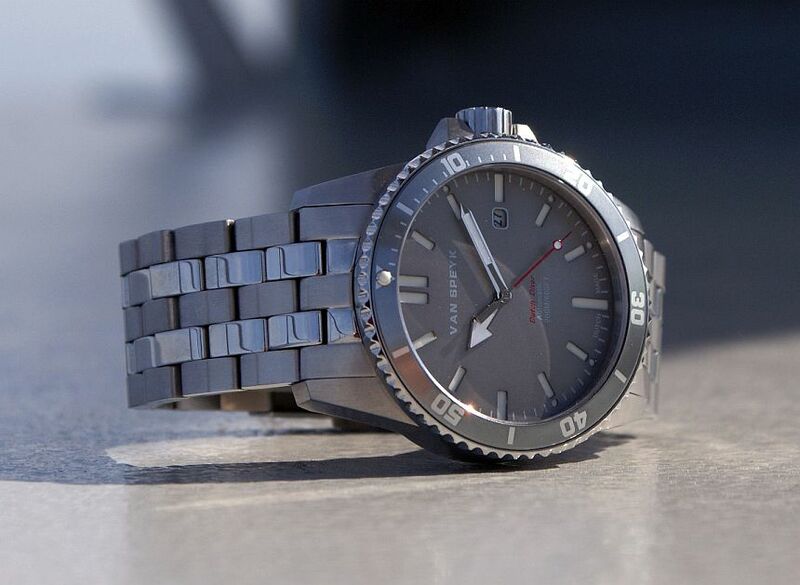 This is not completely unheard of for a dive watch, but it is a bit less common. This gives the watch a sort of stark crispness that also has some nice dimensionality to it. I also like how, on the non-compass point indices, there is an additional pip in the minute track (presumably lumed). A small detail, but another differentiator. Spinning over that dial we have a fairly standard diver handset, with the hour hand taking the form of an arrow, while the hour hand is a simple baton. While this handset is decently sized and proportional (to itself), I think if they elongated them both a bit (so they reached to their respective tracks), it would bring the handset into proportion with the dial. As mentioned before, this dial is topped with a sapphire crystal, around which is a uni-directional bezel. The bezel looks to have a fairly simple printed insert (either steel or aluminum) with a lumed pip at the top. Not my particular favorite route to go, but for a new brand starting out, it makes sense to keep things simple. While that bezel is not unusual, the bracelet certainly is. With watches coming in at a price of $300, we generally do not expect a stainless steel bracelet, but that is indeed what we have here. Again, this is not totally uncommon, but brands may sometimes opt for a textile or PU strap to keep costs down. Here, with the bracelet, we have a more polished look. Before we wrap things up, I do want to note the date window, as it caught my eye at the start as well. Often we see either a square or a circle; here, on the Van Speyk Dutch Diver, we instead have a square with its corners rounded off. This still looks to keep the date wheel visible enough, while still giving the dial a bit more differentiation. For me, that is the story with this watch. 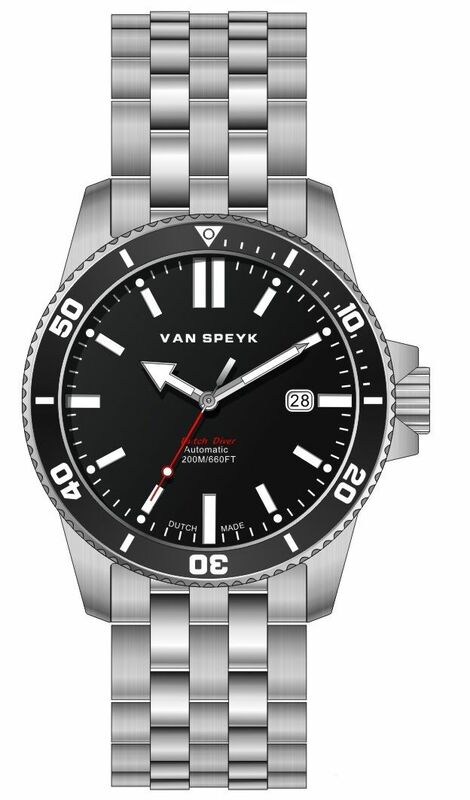 There is a lot familiar with the Van Speyk Dutch Diver (for those immersed in affordable dive watches), while offering some tweaks to the design that make it stand out a bit from the crowd. If you want to pre-order your watch, you can do so by dropping them a line, with shipping antcipated for August 10th. Alternatively, you can sit tight until later in August (by the 25th at the latest), when the photography will be up on their site and ordering is fully open. Price: 329,00 euro incl. VAT = 272,00 euro excl. VAT (incl. worldwide insured shipping).